Not exactly what you would expect to hear from your typical West Coast rapper – often accused of glorifying violent street life. But maybe that’s the point; Skuntdunanna (skunt-dun-a-na) is not your typical MC. 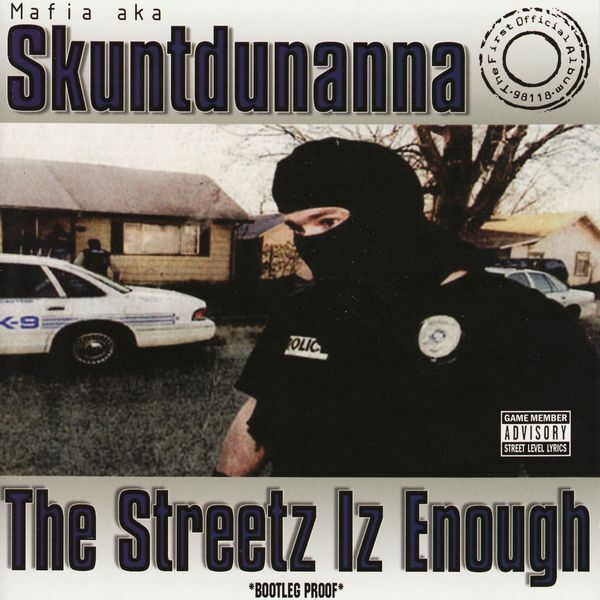 Originally known as Mafia, Skuntdunanna’s 2003 release, “The Streetz Iz Enough” is the culmination of over a decade of paying dues in the rap game and a lifetime of survival in Seattle ‘s gritty South Side. One of the most honest portrayals of life on the streets and a testament to hip-hop’s redeeming qualities, “The Streetz Iz Enough” provides dedicated hip-hop heads with one of the most unique and thought-provoking albums to come from the Left Coast underground in years. “The Streetz Iz Enough” is proof that “Skunt” is one of the most qualified and hardest working MCs ever to emerge from Seattle. Known widely for his unique voice and famous punchline delivery, he has performed in well over 100 shows up and down the west coast, opening for artists such as Snoop & the Eastsiders, Ja Rule, Jay Z, Ludacris and Twista. Also known for his production credits including tracks on Twin-G’s “In The Name of Game Vol. 1,” Skuntdunanna founded Skunt Muzik, which co-released “The Streetz Iz Enough” with Street Level Records and his original producer Mr. D-Sane. Mafia can also be heard on over 15 other albums including Twin-G’s “In the Name of Game Vol. 1,” King George’s “Playas & Hustlas Compilation,” 151’s “The Code of the Street” and other Street Level Records releases. 04. See What I’m Sayin?